What is Personal Injuries Assessment Board? 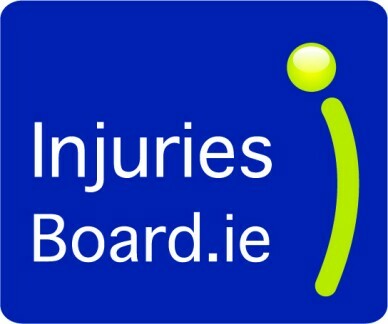 The Personal Injuries Assessment Board (PIAB) is Ireland’s independent State body which assesses the amount of compensation due to a person who has suffered a personal injury as a result of a motor, workplace or public place accident. How can I contact the PIAB? PIAB staff are ready to provide information to anyone involved in a claim by telephone at 1890 829 121 or via enquiries@injuriesboard.ie. Full information is available at www.piab.ie. The process is a non-adversarial, paper/electronic process whereby the claimant submits details of their injuries and losses sustained via a claim form and an initial medical report from their treating doctor. Claims can be submitted to the PIAB either online or by post to Personal Injuries Assessment Board, P.O. Box 8, Clonakilty, Co. Cork P85 YH98. The cost to a claimant of using the PIAB system is €45 and the cost to a person or business of having a claim against them processed by PIAB is €600, with the only additional costs for the respondent usually being the cost of medical scans or medical examinations. Once all the necessary paperwork is in order, the PIAB sends a formal notice of the claim to the respondent (the person or entity you hold responsible for your injury). The PIAB assesses the compensation due having regard to the particular injuries sustained and the circumstances of the individual. Guideline amounts for compensation in respect of particular injuries are set out in the Book of Quantum. Once an assessment is made the claimant and respondent are informed of the level of compensation being awarded. Both parties accept the assessment and the PIAB issues an order to pay. If the respondent does not agree to an assessment by the PIAB or if either side rejects the board’s award, the file is released by the board and, if the claimant wishes, the matter can then be referred to the courts. The website www.piab.ie provides comprehensive assistance and information to those who may have suffered a personal injury and believe they are entitled to compensation.